You are here: Home / Tips / The Most Effective Ways to Control Pesky Weeds! The Most Effective Ways to Control Pesky Weeds! It doesn’t matter if you’re in the garden at every opportunity, or you do bits here and then. Especially when they need doing. There is one thing you will always find and that’s that you spend far too much time weeding. Weeding is a very time consuming, frustrating task. It can often feel never-ending. Luckily, there are a few tips and tricks to help make the process slightly more bearable. Follow these effective tips, and you will see they take slightly longer before they creep back into your garden! It’s often found that pulling young weeds is easier than trying to remove older ones. You’ll have much more success this way. Timing is essential when it comes to pulling out the younger weeds, and the best time to approach this is usually just after some heavy rain. Let the water settle and then you can head out and begin to kill off the weeds in the garden. Using simple items like a fork will help you to twist the weeds right down to the end. This will then enable you to pull them smoothly from the ground. When the conditions are dry, you want to focus on getting the weeds right to the soil edge. This will result in the weed breaking and the lower section shriveling further down into the ground. This will result in the weed eventually dying off. Pulling weeds from the ground isn’t always going to work. For many people, the best solution is to remove the weeds heads. By cutting their heads clean off, you are reducing the chance of reseeding. In turn, it will prevent any peskier weeds from popping up. This is the best and most efficient way to prevent the weeds in your garden from spreading and taking over. Mulch the perfect way to keep your soil fresh and cool. It also really helps with weeding. 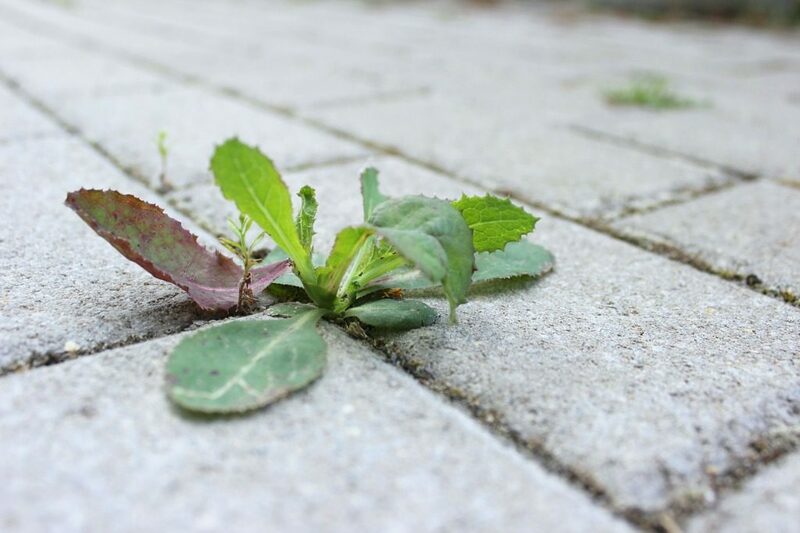 Weeds require plenty of light to grow, and mulch works to ensure that the weeds receive as little light as possible, resulting in stunted growth. There are lots of different types of mulch, from organic sources such as chopped leaves, shredded bark, straw and grass clippings, but you can also purchase mulch from your local gardening store that will combine all of the necessary elements required for quality mulch. While it may sound crazy to leave certain weeds alone, your garden is covered in weed seeds. You may find that they don’t fully grow until they have the right amount of sunlight. By carrying out certain tasks, like digging and raking, you can actually reshuffle the seeds. By doing so, it brings the seeds closer to the surface. This gives them the required light to grow strong and tall, which is not ideal in any way. When you need to dig a certain area of the garden, you should always cover the space with a quality mulch. This ensures that any potential weed seeds are covered and pushed back to square one. This will simply help to make sure you’re not promoting the weed growth within your garden. Why make more work for yourself? What are your weeding tips? Previous Post: « How to Manage Those Financial Guilty Pleasures! Weeding is a big job, but I’ve found that if I keep at it, I can keep the weeds under control. Patient,consistent weeding does make a difference. Yes, it can be a difficult job.